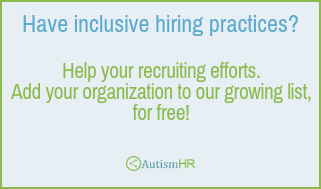 ​Aid your own job search with the following state-by-state list of employers with inclusive hiring practices. Follow the links to their websites, read about their organizations and reach out to inquire or apply for open positions you find. 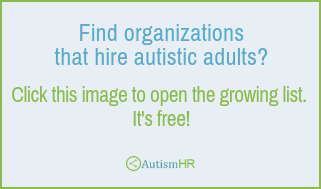 Click here or anywhere on the "Find organizations that hire autistic adults" image below to launch the list in Google Sheets.